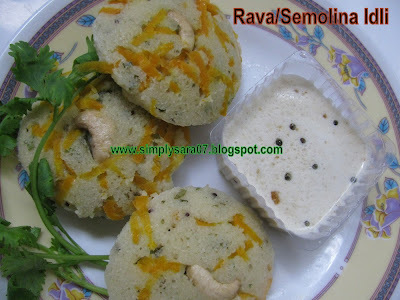 Rava Idlis are my favourite breakfast/tiffin. Guess what these are from its GITS instant mix. The idlis came out perfect and tastes good....since I like Asafotida/Hing flavour a lot, added a pinch of it. This pack needs just water to mix to make idlis. 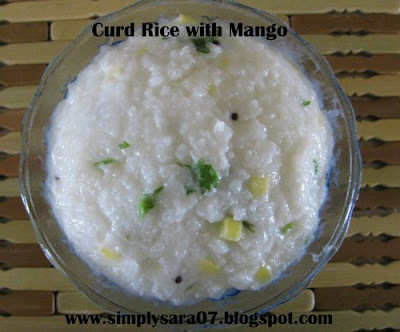 My suggestion is if you have sour curd/plain yogurt at home you can also try it with that too. I served it with coconut chutney. My family liked a lot. Will post the chutney recipe soon. 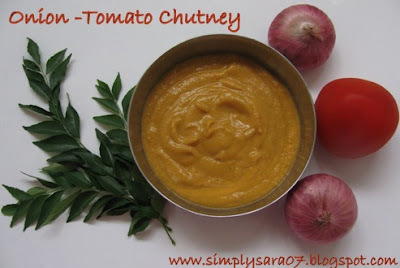 Onion Tomato Chutney is very tasty and simple. This chutney is quick and easy to prepare. Heat a Kadai, add oil and add urad dal saute till brown. Transfer it to a plate and allow it to cool. In the same kadai, saute the rest of the ingredients one by one except salt. Allow it to cool. Grind the urad dal first to 2 whips then add all other ingredients with salt and grind to fine paste. Tempering is optional I have not done. Onion Tomato Chutney is ready to serve. This is perfect chutney for Idli, Dosa or sidedish for Kootu rice too. Rekha's Recipes has awarded me these. Thanks a lot you make my day. 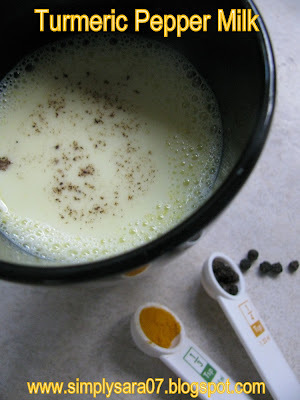 Turmeric Pepper Milk/Manjal Mizhagu Paal is a good home remedy and has immediate effect for cold/sore throat or cough. This is a very simple recipe. Heat a glass of milk add 2 pinches of turmeric powder/manjal podi and 1 pinch of pepper powder or crushed pepper(if you add little more also its good). Allow it to boil for 2minutes and drink it hot with mild sugar. This gives good relief and soothing. I am sending this to Home Remedies Series 1 Event at A2Z Vegetarian. Also sending Jeera /Cumin Water home remedy for the event. 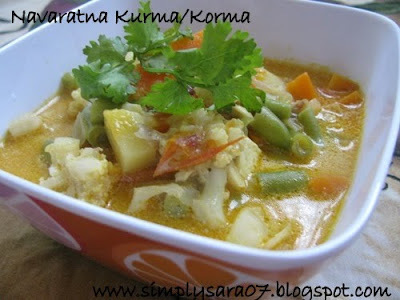 Mixed Vegetables Kurma is a very tasty sidedish. 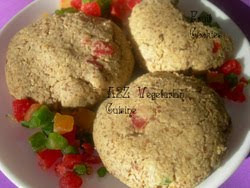 This a mixture of all veggie cooked with dry fruits and pineapple. Today I cooked this for my hubby's lunch box with chapathi. This is mine and my hubby's favourite dish. Usually had at an restuarant. Thought of giving an surprise to him and cooked with love today. Chop all the vegetables to 1"piece. Cook them in pressure cooker without whistle for 15minutes with little salt and turmeric. In a thick bottom kadai, add little oil, spices onion and tomato cook till its soft. Grind them to paste or you can also chop them and put. In the same kadai add ghee and spices add this mixture and boil for sometime. Add all masala powders and mix well. Cook till raw smell goes. Now add the cooked vegetables and boil. Once its thick add milk and cream. Mix well. Allow it to boil. Now add paneer cubes, raisins and cashews. Cook for 2mins and off the stove. Navaratna Kurma or Korma is ready to serve. This can be served with chapathi/roti/naan. My Father-in-law tried with Bread and he liked a lot. This recipe is going off to Served with Love by Arundhati Rama. Bisibelebath its my family favourite. Channa Masala my hubby's favourite. Curd rice is my all time favourite. Our lunch/dinner is never complete without Curd Rice. This time I have mixed raw mangoes which is my hubby's favourite with pickle. You can also pack this for lunchbox. In a wide bowl add, rice and salt. Mash it well with the help of ladle/karandi. Now add milk, mango pieces, curds and mix well. Season it and serve with coriander leaves garnished. It tastes great. You can also have it any pickle. My dear friends Rekha of Rekha's Recipe and Nithu has passed me this award. 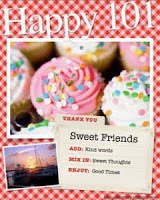 Thanks so much Rekha and Nithu. 1.Thank the person giving the award. 2.Copy the award to your blog. 3.Place a link to their blog. 4.Name 7 things people don't know about you. 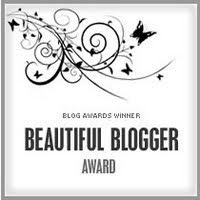 7.Leave a comment letting those bloggers know about the award. I love to be with my son. I like any kind of music. I love cooking and eating. My interests are painting, stitching, mehandi and handicrafts. I love to attend functions back home and be with family n friends. 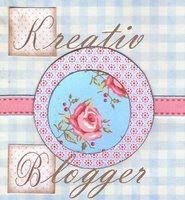 Now I would love to pass on this awards to my new fellow bloggers this year. 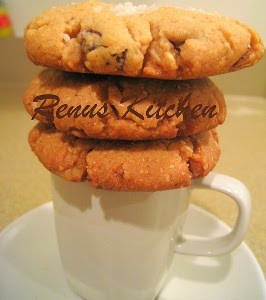 After long time thought of baking, came across this recipe from here but I have made few changes. Hope you enjoy the recipe. Mix all the wet ingredients in a bowl. Then sift all the dry ingredients and mix slowly with the wet ingredients. Beat well and let it sit for half n hour. Preheat the oven to 180 C for 15 mins. 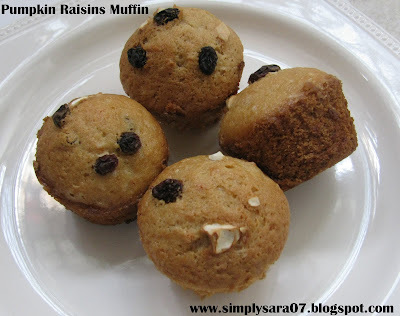 Pour batter into greased muffin tray to 3/4th. Bake for 20 mins at 175 C. Check with a fork or tooth pick whether fully baked or you can bake for another 10 mins. Allow it to cool. Serve for Breakfast or snack time. Variations - You can also replace pumpkin with carrots or reduce the quantity and put more dry fruits. This recipe is going off to CFK- Creative Food for Picky/Fussy Eaters Healthy Breakfast/Dinner hosted by me here at Sara's Corner. 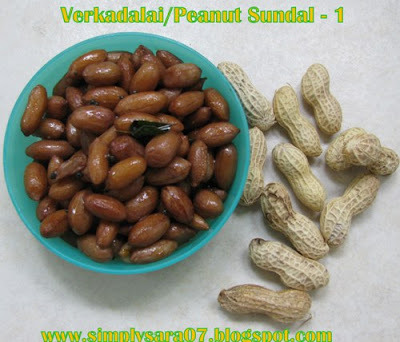 Verkadalai/Peanut or Groundnuts are steamed and mixed with mild spice n coconut. This is very tasty and easy to prepare. This one is my Mother-in-law's recipe. Preparation MethodHeat oil in a kadai, add mustard wait till it splutters then add asafotida and curry leaves. Saute for a minute. Then add Red Chilli powder and mix for 2minutes. Add the steamed verkadalai/peanut and salt. Mix well. Keep for 2 minutes and Serve. Preparation MethodHeat oil in a kadai, add mustard wait till it splutters then add asafotida, urad dal, dry red chilli and curry leaves. Saute till urad dal is brown. Add fresh grated coconut and off the stove. This recipe is going off to MLLA 19th Event by EC started by Susan. 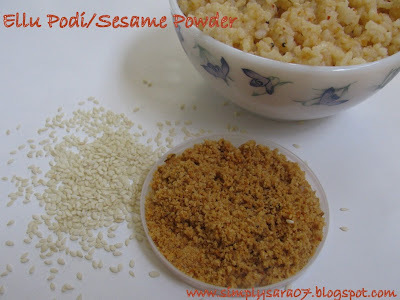 My Pongal Celebrations and Ellu Sadam/Sesame Rice Recipe!!! Hope you all are having a long weekend for Pongal. 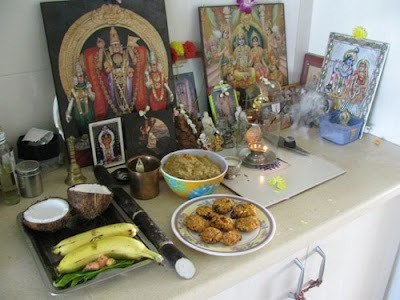 Heres my Pongal celebrations photos.. I had decorated with Rangoli then did all traditional puja. I also prepared Kanum Pongal with Kalanda Sadam(Coloured Rice) today. 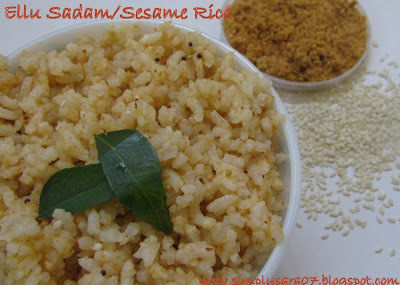 Heres the recipe for Ellu Sadam/Sesame Rice. Dry Roast Ellu till its light brown. Then add 1/2 tspn oil in a kadai, roast urad dal, dry red chilli, Hing till brown. In a small mixie grind urad dal, salt, and dry red chilli in whipper to a fine powder. Then add ellu(sesame seeds) and grind twice to a coarse powder. Prepare rice and allow it to cool. Then Season it with oil n mustard. Then mix this powder and Serve. This recipe is going off to Cooking with Seeds by Priya and APS Rice by Anitha. 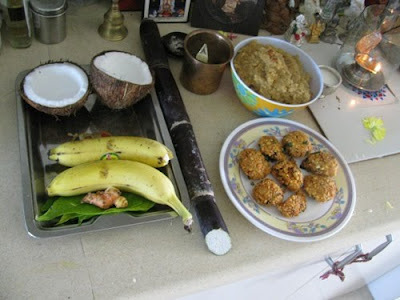 Bogi Pongal is on 13th January 2010. Pongal is on 14th January 2010. Auspicious time for keeping Pongapanai is between 7.30am to 10.00am(IST) later Amavasya follows. 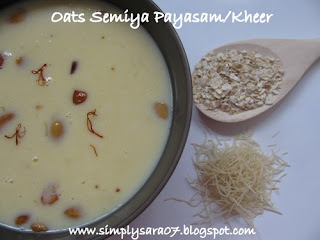 Kanum/Mattu Pongal is on 15th January 2010. Its also Solar Eclipse on 15th Jan 2010 from 11am to 3.30pm(IST). 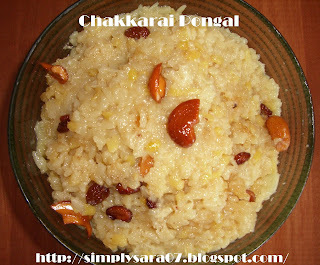 To read more about the festival and for Chakkare Pongal recipe click here. and for dishes prepared on Pongal. Will come back with my Pongal celebrations. 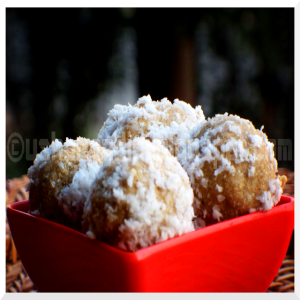 Idli is one of the famous n popular breakfast in South India. 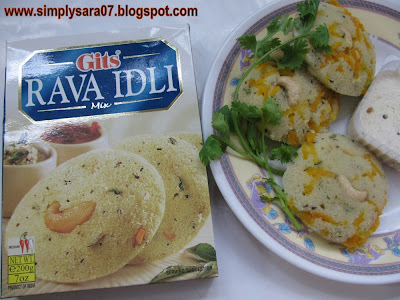 I love hot idlis with sambar or molagai podi. 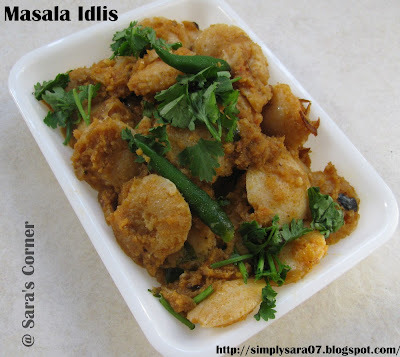 I have a different version of Idlis called Masala Idlis. My Father-in-law taught me this recipe. This recipe is going off to Cooking For Kids Creative Healthy Breakfast n Dinner here at Sara's Corner event started by Sharmi and Wholesome Breakfast by Srivalli. I guess kids will love these. Grind onion in mixie to fine paste. Keep 1 tspn of chopped onions. Heat a kadai, add oil and spices wait till it splutters. Add chopped onions and saute till light brown. Now add ground mixture of onion and saute. Add curry leaves. Then add ground mixture of tomato and cook well till its soft. Add the masalas and mix well. Add Salt. Finally add Mini Idlis and mix well. If required sprinkle till water to it. Cook for 5mins and Serve. This is my second dish on Product Review. 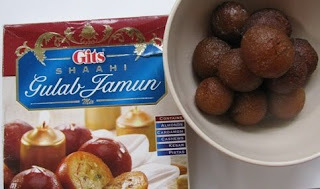 I tried Shahi Gulab Jamun for the first time using Gits product. 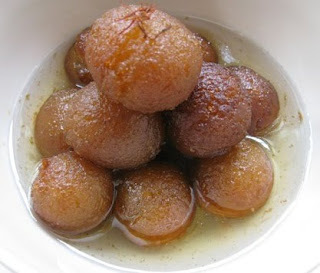 Jamuns came out so soft and perfect. 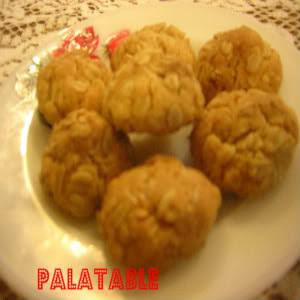 It tastes great as its instant mixture with nuts. I prepared exactly as given on the pack. I thank Gits for giving me an opportunity for reviewing the product. 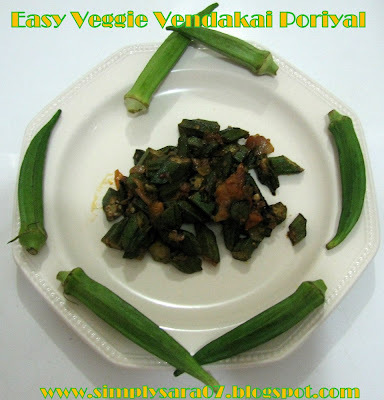 Easy Veggie Vendakai Poriyal is very simple and tasty curry. Wash, wipe and then cut Vendaikai into small pieces. Heat a kadai, add oil mustard wait till it splutters. Then add onion and a pinch of salt. Saute till transperent. Add chopped vendaikai and mix well. let it cook for sometime. Now add all masala powders and rice flour. Mix well. Add salt and 1/2 tspn oil if required. Cook till vendaikai is crispy. 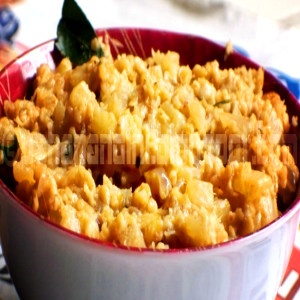 Serve with sambar or rasam rice or chapathi. This recipe is going off to Oraphan's Giveaway. 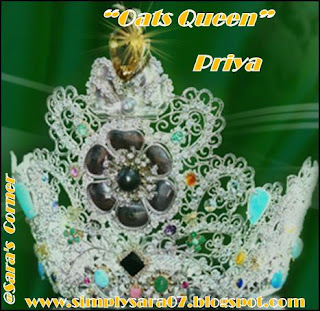 Thank you for participating in Oats Feast Event. Have received wonderful dishes which are healthy. Thats none other than Priya of Priya's Easy n Tasty Recipes for her wonderful recipes. Please accept it. Looking foryour co-operation and participation for my next event Cakes n Cookies and CFK Creative Food for Picky/Fussy Eaters Healthy Breakfast and Dinner. Do let me know in case I have missed any entry which is not intentional.